Maps are by Google and Open Streetmap. Streetview is by Google. See credits and copyright for more detail. 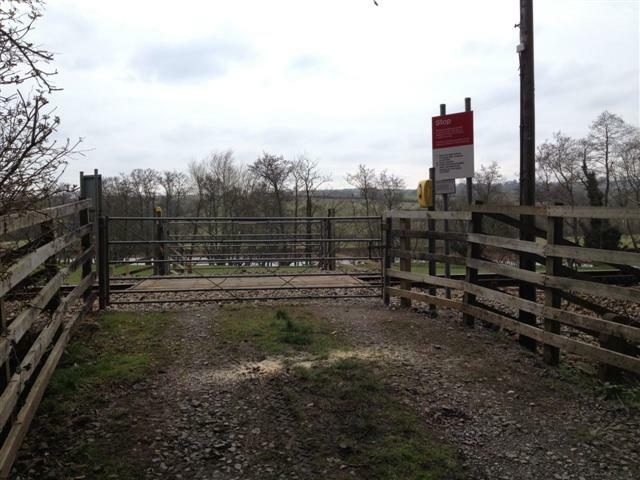 We don't yet have any user-contributed photos of Brightley Weir Farm 1 Level Crossing. Misuse history: Nil incidents in year prior to assessment date (Sep-2014), - Nil incidents since. Near-miss history: Nil incidents in year prior to assessment date (Sep-2014), - Nil incidents since. Accident history: Nil incidents in year prior to assessment date (Sep-2014), - Nil incidents since. Individual Risk Rating is the risk to invidual users of the crossing. It is presented as a single letter, with A being the highest risk and M being the lowest. Collective Risk Rating is the overall risk of any incident involving any person or vehicle on the crossing, including train staff and passengers as well as users of the crossing. It is presented as a number, with 1 being the highest risk and 13 being the lowest. This is the most important rating when prioritising safety measures at level crossings.